Valtteri Bottas described his day of practice ahead of the Bahrain Grand Prix as 'good' but believes that Williams can still make further progress. Bottas set the fifth best time in the second practice session, just 0.003s behind Ferrari rival Sebastian Vettel. 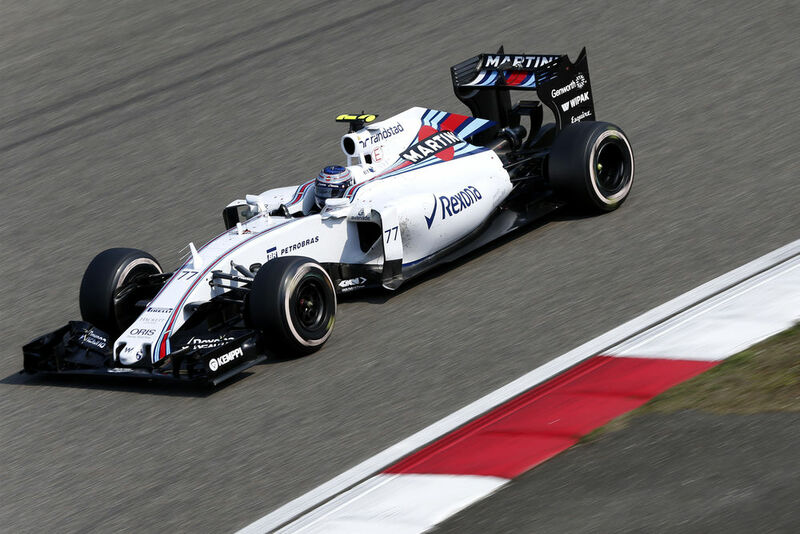 But the Finn is sure that Williams can make more steps prior to qualifying at the Sakhir circuit. "It has been a good Friday," he said. "The car feels good but it’s only Friday so it is hard to compare us against our competitors. "We are still focusing on tyre performance in a race situation and have made progress, especially with the Option tyre, although I think there is a bit more performance to find. "We look quite strong for qualifying, but the race pace is important and we need to work hard tonight on this area." Team-mate Felipe Massa set the 10th fastest time but is sure that he can close the gap to Bottas as the weekend progresses. "I struggled with the balance of the car today but the team have shown there is good pace," he said. "We need to work hard tonight and make the right changes to get the car balance right, and then show the pace that Valtteri has shown today. We have also been working on tyre performance and have certainly made steps in the right direction."